RD Traditional Decorating - Painter/Decorator based in London, Greater London. 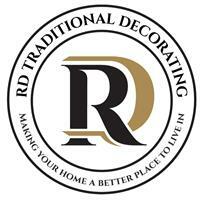 RD Traditional Decorating is a truly customer-focused and reliable high-end painting and decorating business. The business have been established since 2011 and have over 20 years of experience within the trade. With the goal in mind of becoming recognised as being one of the most professional and finest providers of all kind of painting and decorating services in London. We are proud member of the distinguished Guild of Master Craftsmen and Painting and Decorating Association. Not only do we take great pride in the work itself, but also in striving to provide the friendliest and best managed service we can. We are constantly and consistently looking to achieve and in actual fact, exceed the expectations of our customers and work alongside them to use our knowledge and experience to provide the best advice on their projects.